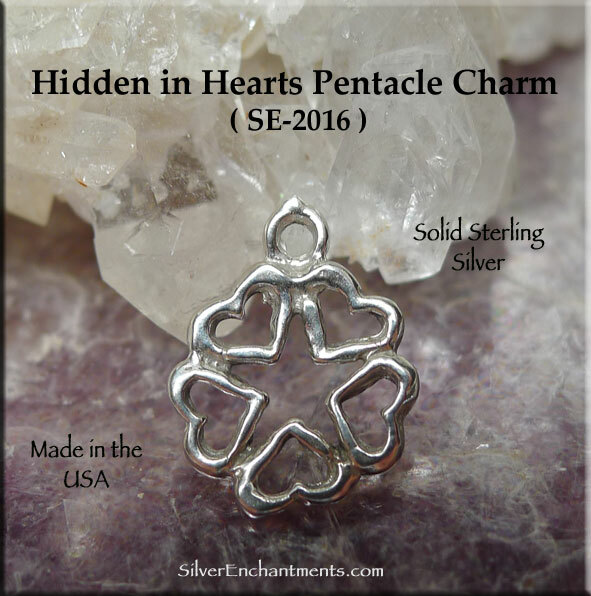 A Sterling Silver Pentacle of Hearts Charm. 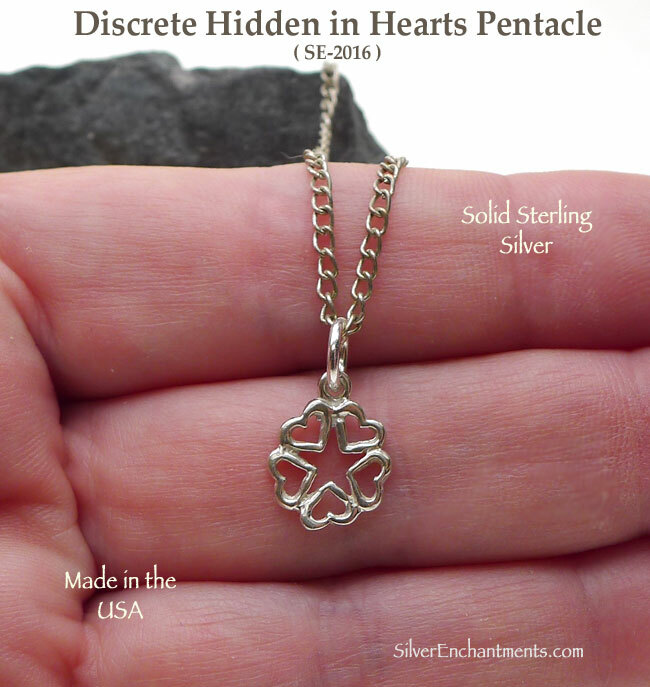 These Pentacles are hand-cast in Solid .925 Sterling Silver by us here in the United States by the Lost Wax Casting Process and measure approximately 14mm tall x 12mm wide. Overall Charm Size, approx. : 14mm x 12mm = ~9/16" x 1/2"
> Choose from a 16" or 18" Sterling Silver Necklace Chain (see last picture for current chain style). 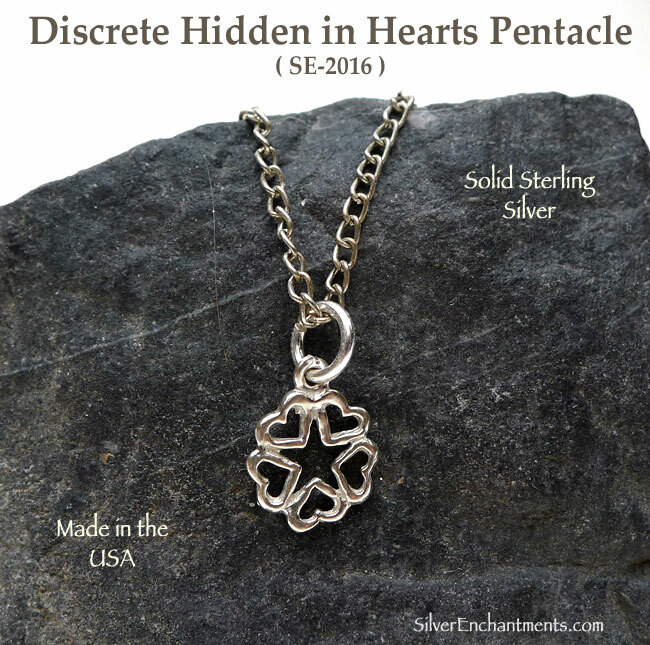 When selecting on a SS Chain, your Solid Sterling Silver Heart Pentagram Necklace will come Boxed. 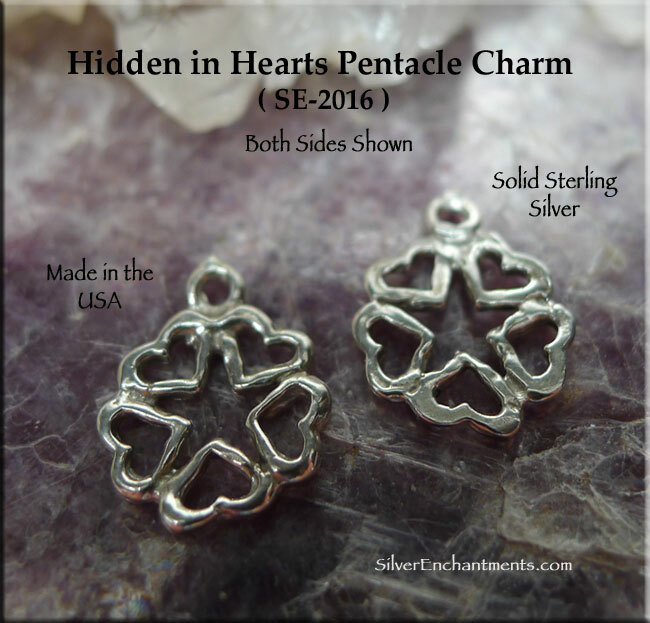 > Sterling Silver Hidden Pentacle of Hearts Earrings are Also Available. > Heart Pentacle Pierced Navel Rings are Also Available.